Vaplock – Apex Chromatography Pvt. Ltd. Through leaks, spills, and ventilation, an “open” solvent system will release chemical exhaust directly into the laboratory environment. This introduction may be reduced by adding several key components to the typical instrument. 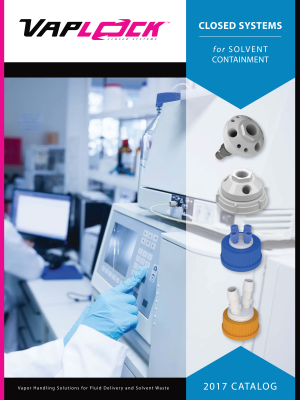 Our mission is to create a safer, healthier and cleaner workplace by providing unique, effective and price sensitive solutions to fluid handling problems in the laboratory.